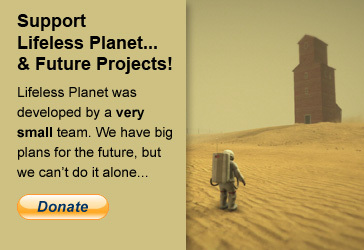 Lifeless Planet: A New 3D Action-Adventure Game from Stage 2 Studios: I need your support! I'm also a 'one man army' indie developer using Unity and Blender; your project looks amazing! Really nice work man, really nice. I caught you on the Unity forums and look forward to seeing more from you. If you've got a Twitter, add me @dopplerinteract, so I can keep up with your exploits. If you want to join my mailing list I'll let you know when pre-ordering is available. And only infrequent updates I promise! I commented on your BlenderArtists thread, but thought I'd drop by here as well. 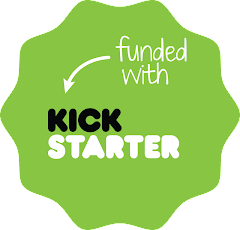 Since I've recently joined the world of Blender to Unity pipeline, and I'm really interested in Indie game development, this project got my attention. I'm currently working on a first person, story-driven adventure game made with Unity (nothing of it on the internet yet) and I'm making a presentable demoish build of a part of the game's first level in hope of getting a small team to work with me. I'll probably make a development blog for it once it's official. Anyway, great work on the trailer, at least i was sold :) I guess your newsletters will keep me posted. Excellent job on your project, looking forward to the release. You are a brave man, you know? a proyect is always like a child that need your effort to continue growing, and right now you boy is very strong, congratulations! I put my soul in every single proyect that deserve it too. I am so keen to be part of the game company. You can also have a look at my portfolio and would love to help you with anything. And Good Luck with these awesome projects! Keep up with the good work! I know it's hard and takes years, but that's life. I'm myself participating in OpenGameStudio project in an effort to create completely open source game, and it takes very long, but it is going on. Thanks guys! It's nice to hear from folks in the industry who know what kind of effort is involved in a project like this. Good luck with your projects too!